2733 E 220th Street, Long Beach, CA.| MLS# PW19083890 | Southern California Homes for Sale. Search properties Southern California. ***HUD Home in the city of Carson (Long Beach mailing address)*** 2 bedroom/1 bath 1942 Contemporary style home is located in the Lincoln Village Neighborhood. Home features living room entrance with gas floor furnace adjacent to the dining area with a wall air conditioner and separated from the kitchen with an open bar/countertop. The kitchen includes a double stainless steel sink with garbage disposal, vent hood (no stove) and a back door leading to a large cinder block fenced backyard. This home features composition shingle roofing, stucco exterior and a 1-car attached garage. This property will be RED HOTâ¦ location is in close proximity of transportation, shopping, dining and entertainment and is within walking distance of elementary school. Ideally located within minutes of both the 405 Freeway and the 710 Freeways! 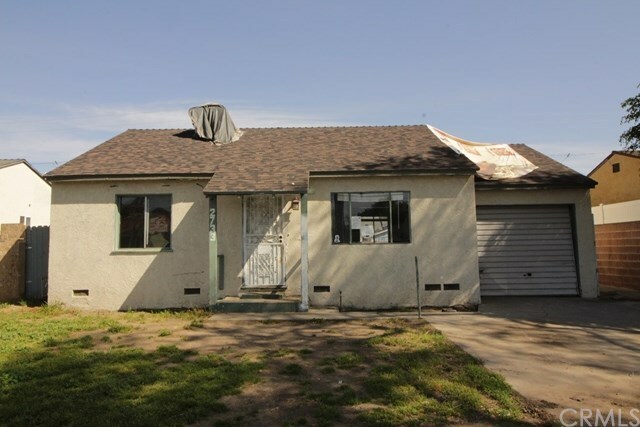 This property is PERFECT for the handyman owner-occupant especially with the available FHA203(k) financing which allows you to add the cost of renovation /additions into your loan and work is completed after close of escrow! For a short time onlyâ¦ while property type is showing EXCLUSIVE Listing Period this property is available to OWNER-OCCUPANTS ONLY â with no competition from investors! HURRY â THIS WILL NOT LAST LONG! Potential purchasers must make an appointment with a Real Estate Agent/Broker of their choice in order to view a property active on the market. Please make an appointment to view this home with a Real Estate Agent or Broker of your choice. Directions: From the 405 Exit Santa Fe and head South; make a right (West) on Wardlow; make a right (North) on McHelen; make a right (East) on 220th St; arrive at the subject on your left.